Source of title proper: Title taken from folder. 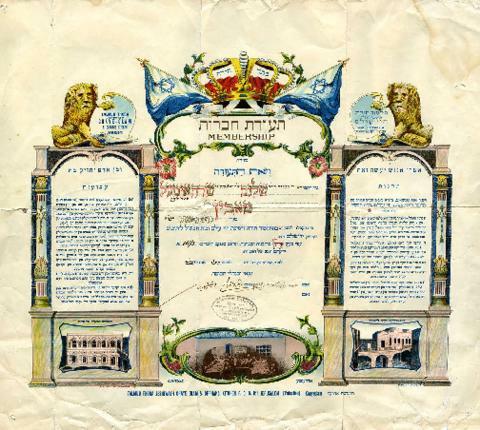 File contains a donation certificate from Yeshiva and Orphans Kitchen in Jerusalem. The certificate was issued to Sarah and Shalom Toban (who were the parents of the first two presidents of Schara Tzedeck's new location, Louis and Harry Toban, when the congregation moves to Oak Street in 1947). The certificate was issued in 1940, by Rabbi Brody.